Children play, Party, festival, wedding, fireworks show and etc. Magical Shots is a classic small tube roman candle. They can be held in hand to set off, shoot red color and green color flaming balls one by one. The tube diameter is 1.15-1.35cm. 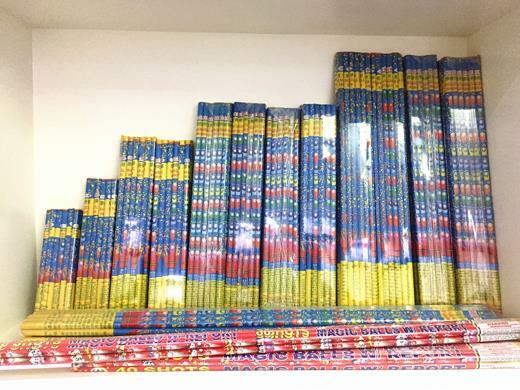 Magic shots fireworks are most hot selling fireworks. We have many factories to produce this items, so fast delivery and cheap price is no problem. Packaging Details: each unit is wrapped by good quality cellophane. Delivery Time: 20 days after order confirmed. The finished product will be packed in export cartons and store in dry and safe fireworks warehouse.